Ayahuasca is a shamanic medicine originating from the Amazon Rainforest and in Brazil is known as the Santo Daime in the Santo Daime Church. Ayahuasca has a powerful effect on one’s spiritual processes and can facilitate healing, awakening, understanding and the development of spiritual wisdom when used in conjunction with spiritual practice and a strong healthy ethically grounded life. Those who are strong enough to be able to handle the intensity of the Ayahuasca medicine can find that their spiritual processes are accelerated to the point where a grounded state of enlightenment is possible – inside and outside of ceremony. 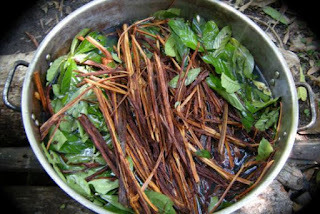 It is important to realize that Ayahuasca is no ordinary psychedelic medicine. Anyone using it recreationally or for ‘kicks’ will find that the medicine has an inbuilt mechanism to prevent the medicine being abused in this manner and one will then experience serious downfall. Ayahuasca is far stronger than psilocybin mushroom, LSD and other hallucinogens – save for San Pedro Cactus in very high doses (24 hour San Pedro experiences are not for the faint of heart). Of course – one would only ever consume these medicines in legal settings and one would always check the legal status of any medicine in one’s own country before proceeding further. I have had the experience of participating in over 250 medicine ceremonies (mainly with Ayahuasca) – all in legal settings – and as a result I am experienced in the use of the medicine and have an understanding of how these medicines work on a spiritual level. 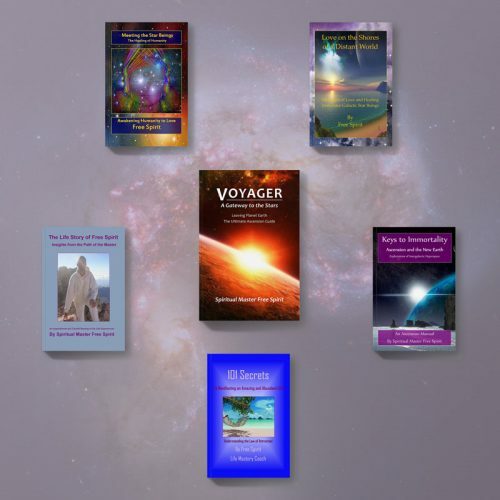 I later went on to write books speaking about the spiritual experiences and understandings I had from the Ayahuasca as well as my experiences with higher-dimensional Beings. It can be helpful to see hallucinogens as adjuncts (tools) for the attainment of spiritual understanding rather than seeing them as the understanding (the end) in themselves. Whatever you see and experience is down to your own spiritual and energetic make-up – and the medicine cannot make you enlightened if you are not vibrationally aligned to spiritual reality in your life as a whole. You have to do the work and the healing for yourself so that you can sustain your spiritual connection outside of ceremony. The Ayahuasca will often repel those looking for ‘kicks’ – anyone thinking this medicine can be used like marijuana or LSD (recreationally) will find that the Ayahuasca does not lend itself to being used in this way. Whereas LSD and marijuana can enable people to see pretty patterns and have a nice feeling high – Ayahuasca is more intrinsically spiritual and connected to reality itself (rather than presenting a dreamsphere version on reality that can then be confused for being real). Ayahuasca is an intense karmic cleansing agent. If you have done things that are ethically questionable – the Ayahuasca will make you aware of them by taking you to the places where the karma lies dormant in the body. In the awareness of those karmas – it is impossible to hide or ignore them – thus the spiritual value of the medicine is due to the fact that the experience will make you look at any repressed bad karma and associated emotions such as fear, guilt, shame, etc – thus facilitating a healing. In the clear light of the medicine experience – one can dissolve karma by recognizing the underlying causes, practicing self forgiveness and reprogramming oneself to act from a place of higher integrity. Thus if you cheat, lie, steal or engage in similar things – there is no hiding place in the Ayahuasca Ceremony for these things to remain. For those still attached to living a life of questionable integrity – the experience may be too frightening, but for those ready to clean up house – there is an extreme therapeutic value that can be derived from Ayahuasca. 2. Ayahausca shows you that the 3D world is a web of lies. 3. Ayahuasca may show you higher dimensional reality / the truth of ET’s. If you do not believe in life after death or that ET’s exist – after using the medicine you may see things in a new way. DMT Beings along with all kinds of other Upper Astral Beings are intelligences that exist in other realities and by using the medicine one is opening up one’s consciousness to other realities that are usually inaccessible. 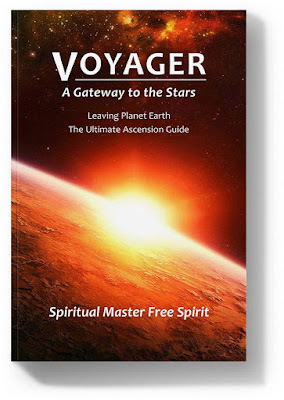 In my own experiences, I astral travelled to different star systems, other galaxies and had many profound experiences with higher-dimensional ET’s (described in more depth in my books). 4. Ayahuasca can help you to love and respect yourself. Some people can realize that the biosphere is collapsing in the visions and are called to transcend their attachments to this world. As for the Ayahuasca, it has been a strong teacher for me in extracting myself from human karma. On at least 100 separate occasions I have been a witness to some form of collapse in the Ayahuasca space. The mechanism for collapse varies over time, but the end results are always the same. Mass departures where anywhere between 80-95% of humanity dies in a very short timeframe. I have seen it so many times it has become more and more integrated into the awareness of my life. “I am no longer in the temple space. I am in a stark and desolate version of Earth. Everywhere, the biosphere is dying. There are fires, floods, droughts and pestilences. An intense wave of acrid, burning and toxic death energy is everywhere, moving across the face of the planet. 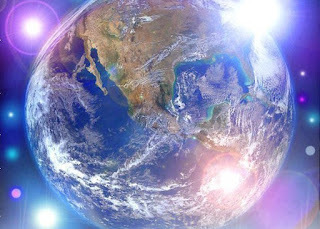 Everything is being purged from the surface of the Earth. Humans are holding onto the remnants of their lives in fear. I am a witness to wretchedness, despair, pain, decay and death. Death is everywhere, people are killing each other in a state of madness. Vast fires burn unabated and the atmosphere is clogged with a dense grey choking smog. It is hard for people to breathe and many fall. Leaves are falling off dying trees and nature is silent. There are no birds, no insects, nothing. Something has killed them all. I am in my body in this place of death. I can hardly breathe and am a witness to the end. I seek Source and ask of it why I am a witness to such things. I am dying in a collapsing biosphere. Part of my awareness leaves, moving across the surface of the Earth. It is the same everywhere. Nothing but death and destruction of the entire biosphere. The Amazon is burning. Plants and trees are dying en-masse. Everyone is in panic for their world is dying and plain for them to see. Of course, there is no help from the world governments. People are on their own. I see a wave of sickness and death sparing nothing in its path. I become intimately familiar with this energy of death. I understand how the Earth must be purified. I am a witness to an utterly degrading end. I am back in the Temple space. I wonder if I have just poisoned myself with too much Ayahuasca. No, it is not like that, the Beings say. Instead they say that I must know and understand why. I must not turn away from understanding. It is supremely important they say. I am told I must get rid of the sickness of death. There is much nausea. I cannot bear it any more. I pray for an end to this awareness. There is much vomiting. It is terrible. The same acrid poison that was in the air and in the environment is somehow in my body. A burning death energy. Toxic, acrid, worse than bile. In the midst of the most extreme vomiting I see many humans dying. 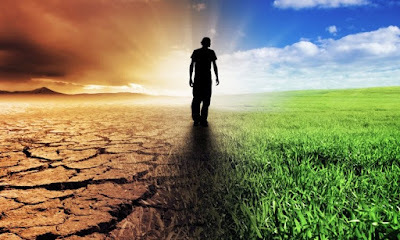 The Earth is being consumed by fire, pestilence, toxins incompatible with life as well as the ever rising waters. I pray to have it taken out of me. It is released in the most unpleasant vomiting ever. There is the presence of an overwhelming love. 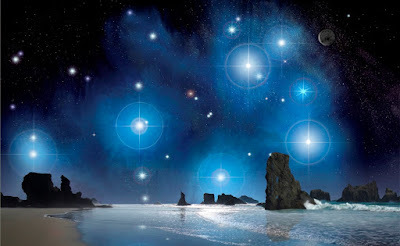 I am supported by the Star Beings. Disclaimers:- Spiritual Master Free Spirit does NOT advocate illegal activities. Check the legal status of Ayahuasca in your country! A grounding in ethics and integrity is a mandatory foundation. Using the Ayahuasca to inflate one's ego, or without strong moral integrity is spiritually dangerous and can have adverse consequences. NEVER drink Santo Daime or Ayahuasca anywhere with untrained shamans or amateur guides. Ask to see Shamanic Training Certification and a Code of Ethics that many reputable centres will have.